In The Greatest Sniper Stories Ever Told, editor Tom McCarthy has pulled together some of the finest writings about snipers that capture readers imaginations, meticulously culled from books, magazines, movies, and elsewhere. 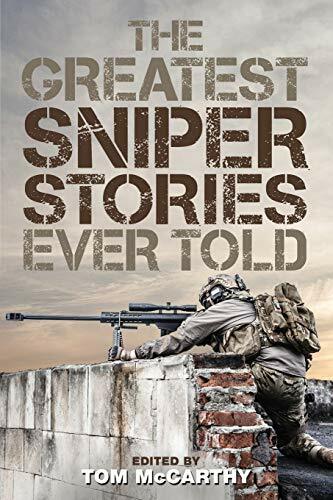 It is an unforgettable collection, and includes stories by Chris Kyle (author of American Sniper), Joe LeBleu, Gina Cavallaro and Matt Larsen, and many others. It includes tales of legendary snipers from the Revolutionary War up through present-day Afghanistan and Iraq.